As mentioned above, children are curious by nature – so curious that they would ingest everything that appeals to them, unaware of the risk they are exposing themselves at. This is why it is essential to keep chemicals and weed killers in a securely locked cabinet, in a place your child can’t access them. Chemicals can be fatal, if ingested. If you have a pool in your garden, then installing a protective pool fence is essential to keep your child and your pets safe. Even if you have your pool covered, extra protection will certainly come in handy. Besides, pool fences are very affordable and they are easy to install – better be safe than sorry when it comes to the safety of your child! Moreover, most pool fences come with a special child-proof lock, for added safety. Children are very fond of water, but thousands of unfortunate pool accidents take place every year. If you have bought swings, inflatable slides or play houses for your child and you have installed them in your garden, then you must inspect them on a regular basis just to make sure they function properly. Although the play equipment may be made from high-quality, durable material, they can wear and tear in the long run – especially if you leave them in open space, in the garden. Carefully inspect the paint, the ropes of the swing, the bolts and any other part that may harm your child. 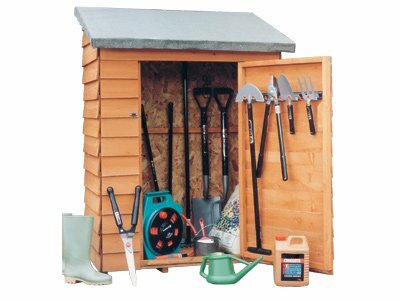 If you are passionate about gardening and you have many sharp tools that can harm your children, then it is highly recommended to store all your tools (both manual and electrical ones) in a safe space to which the little one does not have access. Sharp or heavy tools can pose a real threat to your child, this is why you must lock them away safely! Windows are very easy to break with a stone, and the child can easily cut himself accidentally in the shattered glass – this is why many homeowners choose to replace their single pane windows with double glazing windows, which are considerably harder to break. Safety glass is certainly a wise choice, if you have any windows close to your child’s play area! These 5 handy tips and hints from http://birminghamdoubleglazing.uk/ can help you make your garden not only safer, but also more child-friendly. Your garden poses numerous threats, and you can prevent a wealth of unpleasant situations by simply identifying the potentially dangerous situations and addressing them before your child gets hurt.